We base our healthy eating guidelines on the foods that were eaten in traditional cultures where the natives lived long, healthy and productive lives on their native diet as described by Dr. Weston A. Price in Nutrition and Physical Degeneration. His work is especially interesting because he documented (both in writing and in pictures) the health traits and diets of many indigenous populations back in the 1920's when native populations, untainted by "modernization", still existed. While Dr. Price's work cannot be reproduced today - because these cultures no longer exist - current research has confirmed many of his findings scientifically. Of special interest, the "X-factor" that he identifies as being present in rapidly growing green grass is believed to be vitamin K2. 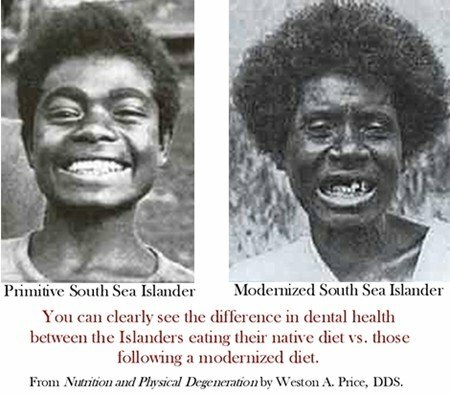 Especially powerful in his work are the pictures that compare and contrast the facial bone structure and teeth of native people following their native diet and native people who have started consuming a more "civilized" diet that contained processed foods. It is especially important for couples that are trying to conceive, pregnant and breastfeeding women, and growing children follow our healthy eating guidelines. Why? They have the greatest need for nutrient dense food. Many native cultures reserved the most prized food for pregnant women and growing children. For in depth information about why it is especially important for unborn babies, children and nursing moms to get proper nutrition read the Importance of a Healthy Diet. Consume some sort of animal protein, including organ meats and fat, every day. Consume some foods with a high enzyme and probiotic content (naturally cultured yogurt, kefir sauerkraut, kim chee). Consume seeds, grains and nuts that have been soaked, sprouted, fermented or naturally leavened (in order to neutralize a portion of the naturally occurring anti-nutrients in these foods – Read Be Kind to Your Grains...And Your Grains Will Be Kind To You for more information about this). Consume plenty of natural fats (consume proteins with the fat intact, eat vegetables with plenty of raw butter, use lard in your cooking instead of shortening. For more information about what fats are healthy and which aren't read The Skinny On Fats by Dr. Mary Enig and Sally Fallon. Use leftover bones to make tasty calcium and gelatin-rich bone broths to use in soups and gravies. Parents to be, pregnant women, breastfeeding women and growing children should eat extra nutrition and be especially careful to avoid all processed foods to ensure the health of the next generation. Read Diet for Pregnant and Nursing Mothers. Consume natural, unrefined salt (rich with minerals)Avoid all refined and processed foods. Avoid white flour, refined sweeteners, pasteurized milk, homogenized milk, lowfat milk, nonfat milk, processed milk products, protein powders, industrial fats, refined oils and chemical additive. Probably the best book we have found about diet and nutrition for children is The Crazy Makers: How the Food Industry is Destroying Our Brains and Harming our Children by Carol Simontacchi. As mentioned above, our second favorite book is the enduring classic work on how what we eat shapes us, for better or worse, titled Nutrition and Physical Degeneration by Weston A. Price, D.D.S. We encourage you to purchase both. Principles of Healthy Diets which includes great explanations about why protein and healthy fats are essential to your diet. 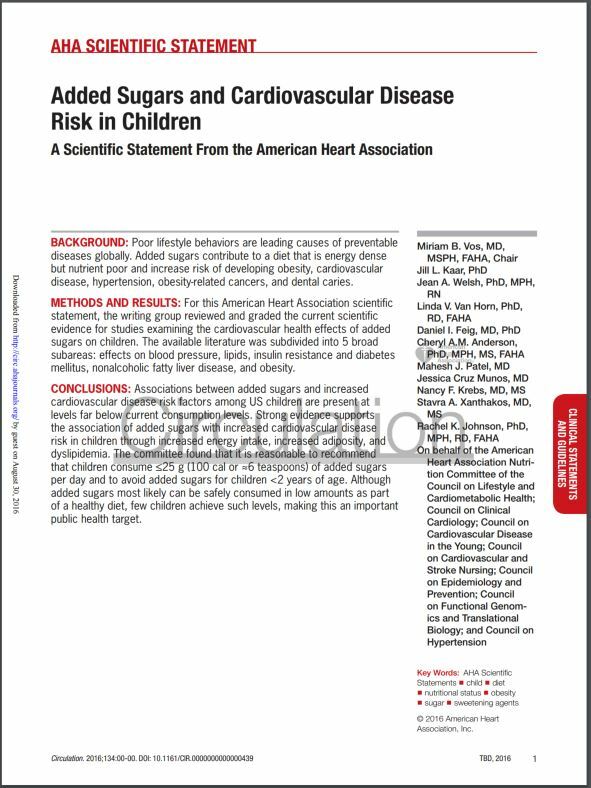 Read Importance of a Healthy Diet about why healthy eating guidelines are important to follow, especially for babies, children and nursing moms.